So many people have been asking me how and why I travel, but I think it’s best to start with the why…many people have different reasons why they travel. I think one of my main reasons is that it is a humbling experience for me. In America everything is given to us, no matter how poor you may think you are, go to a favela in Rio, Brazil, or to a remote village in Yangon, Myanmar and then talk to me about being poor. At least our government will step in and provide assistance, these countries don’t necessarily have that help. Also, I use travel as therapy. Ever since my Dad went to go home with his Heavenly Father, I’ve been lost. Going in every direction for everybody else but myself, one day my Mom just looked at me and told me to go after my passion and find my purpose…just GO she said! I’m so thankful for her support and her pushing me to take this gap year. Nothing worse than that feeling of not knowing which way is up or down, and going abroad makes you fend for yourself and helps you grow. 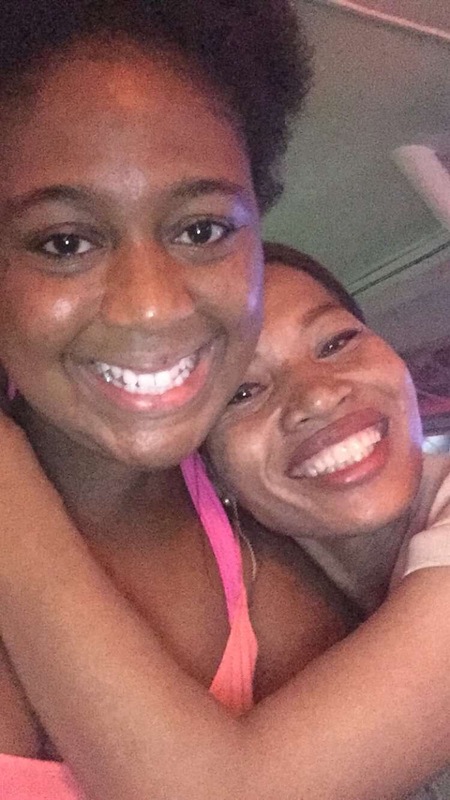 I wanted to come to the most uncomfortable side of the world, where I did not know the language, the culture was so much different than mine, and where I could have a humbling experience…so I chose SE Asia! Now if you know me, I like my personal space and in Asia you don’t get any! I don’t know what it is, but everybody in SE Asia is in a hurry to get somewhere. I usually call it in a hurry to go nowhere. Don’t get me started on the countless times that someone has climbed over me when we land at the airport to get their bags and WAIT to get off the plane. As I sit in my seat and give them the side eye. This is definitely a learning experience for me, as I normally don’t like people touching me or getting into my personal space. I know no strangers in SE Asia! Actually learning about world history in whatever country you happen to be visiting is so special. After going to countries like Cambodia and Vietnam where war had devastated them and still continues to linger, its always interesting to see how a country can rise above. I go to museums and I’m just astonished as to why this devastation was not in my history books growing up, but as a friend pointed out to me other countries rarely learn about slavery in America. 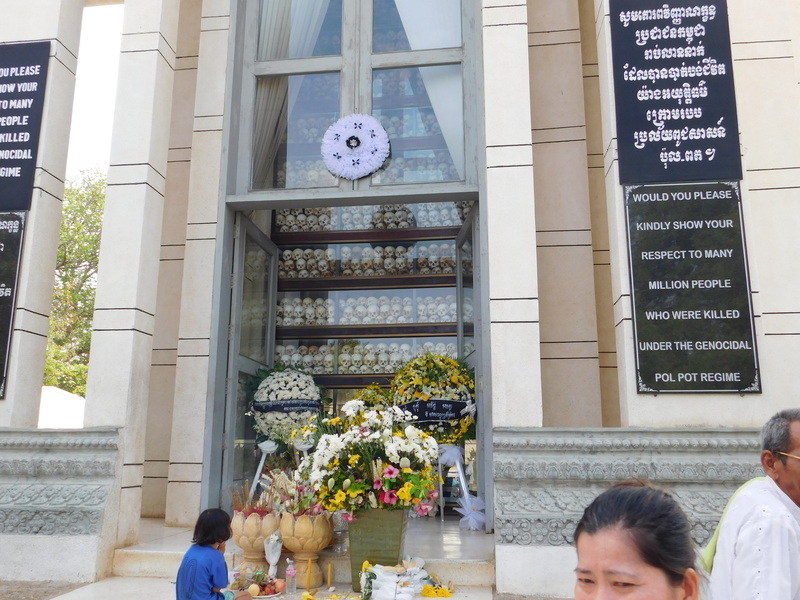 The Killing Fields…something I never learned about in our history books! 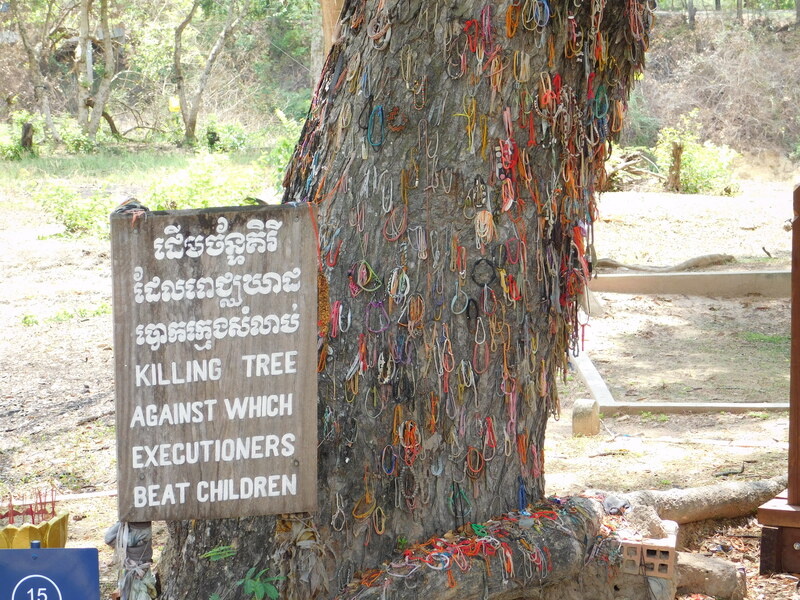 The bands signify how many kids died on this tree. Did I mention that I live like a Queen over here!?! Another reason why I chose SE Asia was the fact of finance, you can be a multimillionaire in Vietnam or Indonesia, because of the currency exchange rate is CRAZY! I can spend anywhere from $1-3 per meal, maybe $4-5 if I want to “splurge” which is way cheaper than America! The nightlife is so fun and affordable as well, a good night out can cost a max of about $10 in most SE Asian countries. 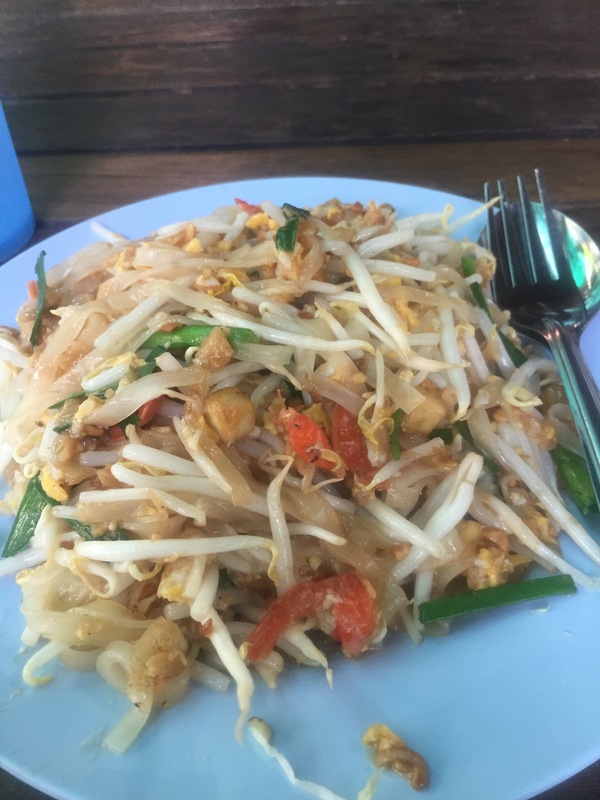 Pad Thai in thailand for only $1.25! 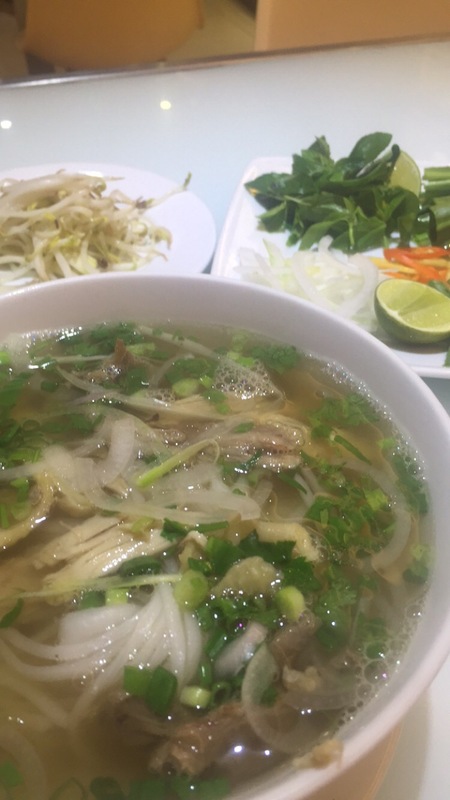 Chicken pho in Vietnam for about $2! So the basis of this whole “world purpose trip” is to find my purpose in life, and just gain some peace after feeling so much turmoil within my body and mind. Grief is one hell of a ride! I have been on the roller coaster of grief, and I have wanted to enter the land of Peace and Joy for so long. 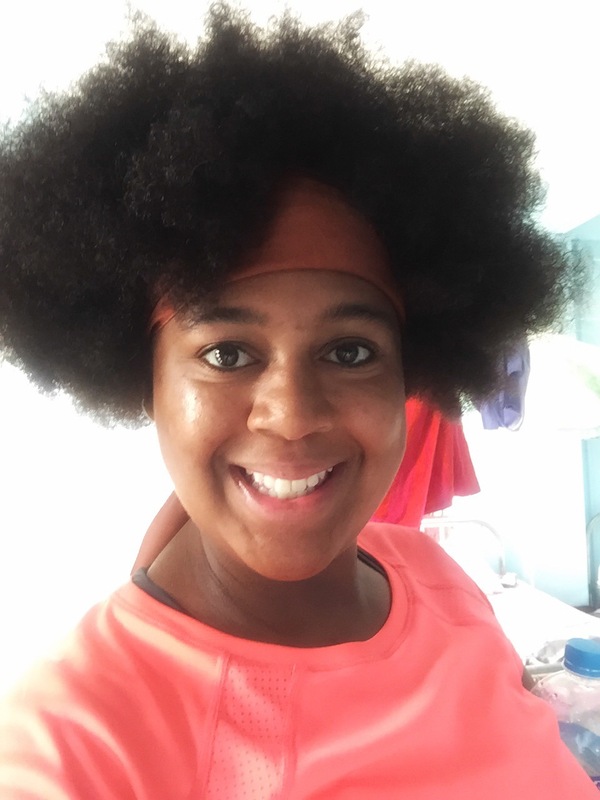 Traveling always gives me clarity, so I decided it was going to be a perfect outlet for me. In SE Asia many meditation centers and Buddhist monasteries are at your finger tips. I couldn’t wait to check this off of my bucket list…this high anxiety and hyper girl was actually going to sit still for 30 minutes to one hour and meditate? That’s a joke, right? One of many Buddha statues that I got to zen out to! Well I did it! It was the best thing that I could’ve done for me at that time. I was raised in a Christian household, so it was cool to be able to use what I learned about meditation from the monks and talk to God. See I’ve been mad at him for awhile now, but in my short four days at that mediation center I felt like I could loosen my grip on that anger. Holding onto anger is not healthy, physically and mentally. 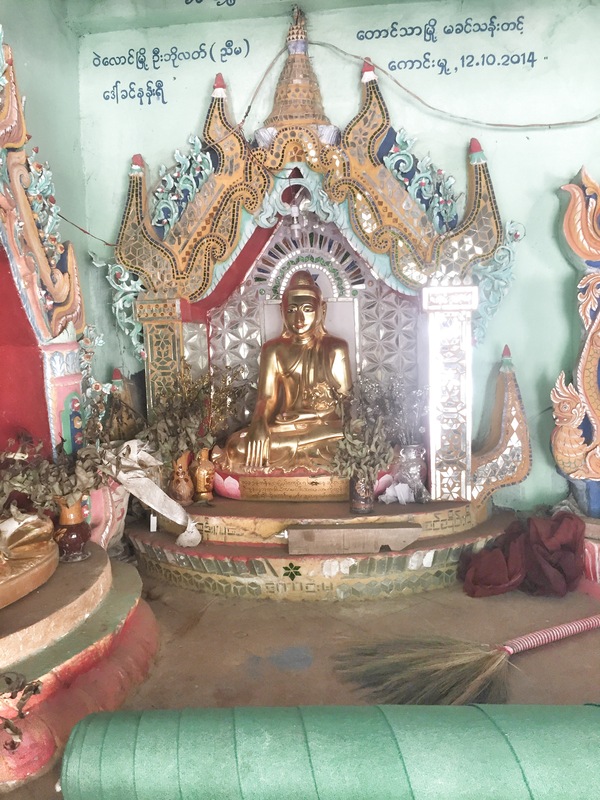 It was so awesome to talk people from all over the world who had their own stories to tell, and to know that we all came to this particular Buddhist monastery in Myanmar for peace. All smiles after my first meditation session! Everybody has their reasons to why they travel and these are mine, I love discovering God’s beauty in our vast world! I hope you get out there and chase your dreams, no matter what they may be! I think a lot of people can benefit from reading this particular post. It shows the viewers how traveling can be therapy, a learning experience, or just fun. I can tell you first hand it is never good to hold grief or anger in. I’m glad this is helping you release some of that and grow as well. Now if it could just help u from getting hangry lol. I’m so glad you get to travel and that it enriches your soul I’m glad you get to see all the beauty And yes definitely lose all the anger. You’re such a Queen! Great read. I’m happy to hear you’ve found something to help you. Are you going to stay in SE Asia for your entire Gap year? Awww thank you so much! I am currently back home for the holidays, but I did spend about 5 months in SE Asia! It was so amazing! I miss it every day!